The goal of school health services is to promote safety and remove or reduce barriers to learning. We know that students who are healthy learn more and students who learn more are healthier. We want every student in the district to have a healthy and rewarding educational experience. 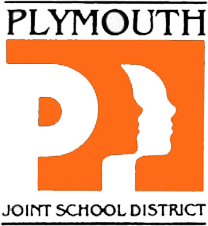 The Plymouth School District has two nurses. Please feel free to contact us with any questions or concerns. Our school health room staff are trained in basic first aid and medication administration. If an incident or injury is severe, a code blue team (consisting of staff trained in CPR, first aid and administration of emergency medication such as inhalers or Epipens) will respond and 911 will be called if needed. There is an AED in each school. It is recommended to have yearly scheduled checkups, often called well-child visits, as well as yearly dental and vision exams in order to keep a close eye on your child's health and development. Finding possible problems early gives your child the best chance for proper and successful treatment. Make sure to update the school nurse with any concerns or health issues. If this information needs to be updated, please call your school secretary.